Robust financial markets support capitalism, they don't imperil it. But in 2008, Washington policymakers were compelled to replace private risk-takers in the financial system with government capital so that money and credit flows wouldn't stop, precipitating a depression. Washington's actions weren't the start of government distortions in the financial industry, Nicole Gelinas writes, but the natural result of 25 years' worth of such distortions. In the early eighties, modern finance began to escape reasonable regulations, including the most important regulation of all, that of the marketplace. The government gradually adopted a "too big to fail" policy for the largest or most complex financial companies, saving lenders to failing firms from losses. As a result, these companies became impervious to the vital market discipline that the threat of loss provides. Adding to the problem, Wall Street created financial instruments that escaped other reasonable limits, including gentle constraints on speculative borrowing and requirements for the disclosure of important facts. The financial industry eventually posed an untenable risk to the economy—a risk that culminated in the trillions of dollars' worth of government bailouts and guarantees that Washington scrambled starting in late 2008. Even as banks and markets seem to heal, lenders to financial companies continue to understand that the government would protect them in the future if necessary. This implicit guarantee harms economic growth, because it forces good companies to compete against bad. History and recent events make clear what Washington must do. First, policymakers must reintroduce market discipline to the financial world. They can do so by re-creating a credible, consistent way in which big financial companies can fail, with lenders taking their warranted losses. Second, policymakers can reapply prudent financial regulations so that markets, and the economy, can better withstand inevitable excesses of optimism and pessimism. Sensible regulations have worked well in the past and can work well again. 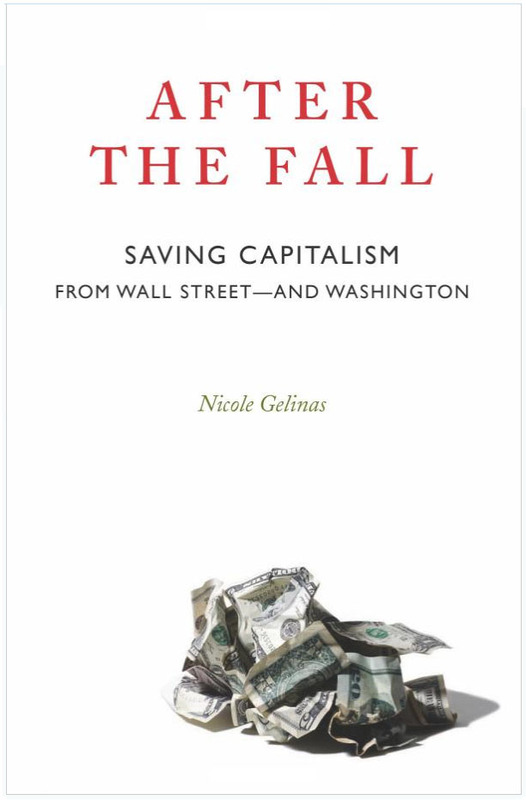 As Gelinas explains in this richly detailed book, adequate regulation of financial firms and markets is a prerequisite for free-market capitalism—not a barrier to it. WNYC, Brian Lehrer Show, 4-23-10 Listen to the discussion. The Small Business Advocate With Jim Blasingame, 4-23-10 Listen to the discussion.